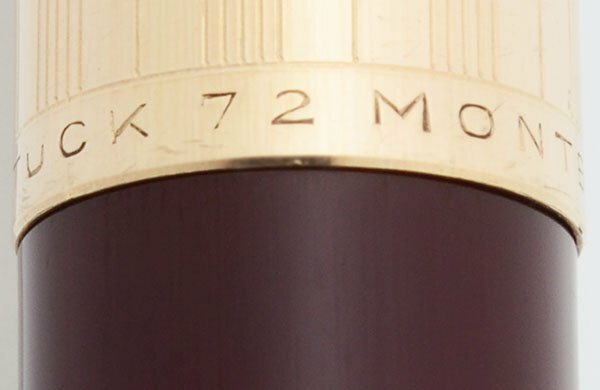 Montblanc 72 fountain pen from the late 1950s or early 1960s. 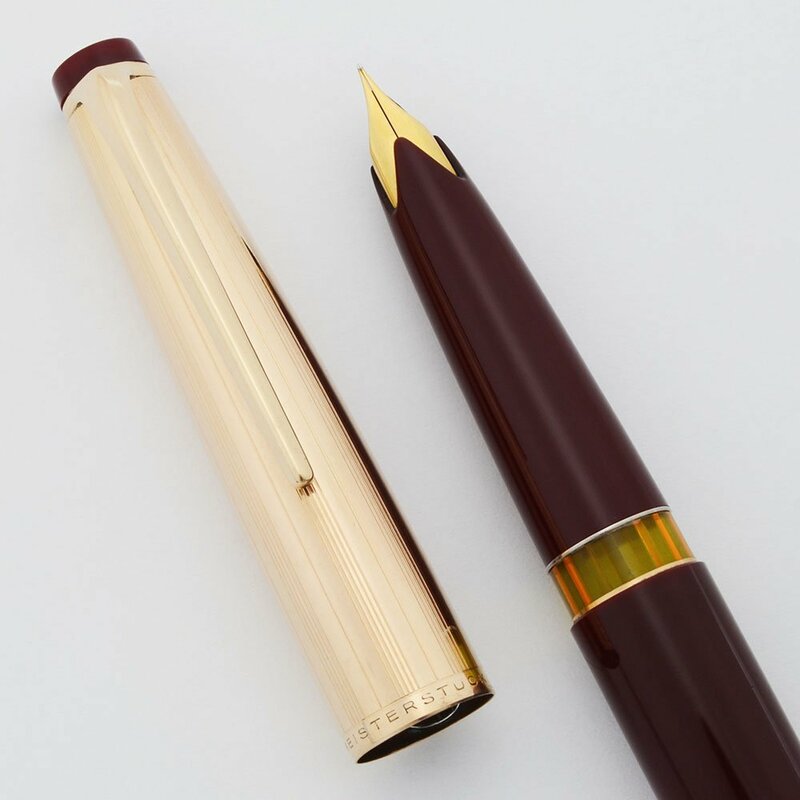 It is a piston filler in burgundy with lined gold filled cap. An extra fine 18k nib is installed. Superior condition. Manufacturer and Year Montblanc, Germany -- late 1950s or early 1960s. Filling System Piston filler. It's been cleaned and tested and is working well. 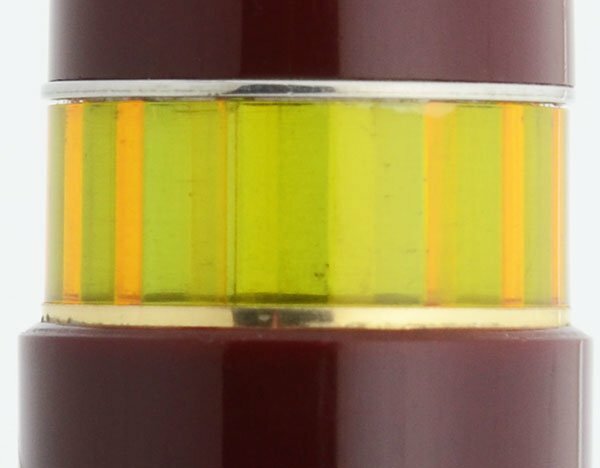 Color Burgundy barrel and gold filled cap with grouped lines pattern. There is a yellow tinted viewing window. 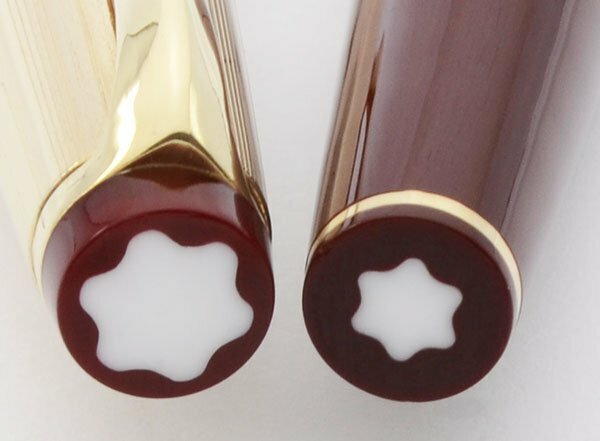 Nib Extra Fine 18k nib. The nib is springy with nice looking tipping material. The feed looks perfect. Condition Superior condition. No dents, dings, or major wear. There is one fine scratch beneath the viewing window on the barrel. The piston knob turns well. The viewing window is very clear. No personalization on the cap. The cap snaps nicely when capped.